Hey all, Happy Summer to you! Hope everyone's getting out to the beach or have some nifty plans this season. 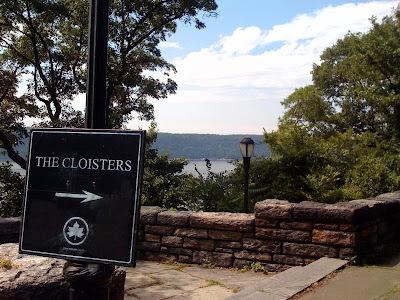 Yesterday I was driving by the Cloisters and thought, "by golly! that's as good a place as any for my next around the corner feature". And so here you have it. Have you been to the Cloisters yet? Did you know that it's a part of the Metropolitan Museum of Art? 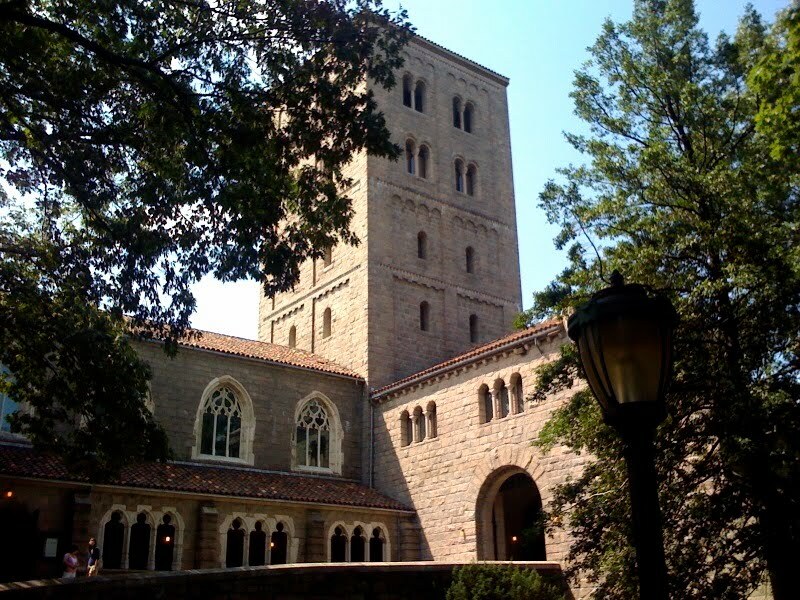 Did you also know that this amazing castle-like setting is right here in Manhattan? Neat-o. It's free to walk around the grounds (that's connected to Fort Tryon Park) and admission inside is whatever you can donate. This branch of the Met is dedicated to the art and architecture of medieval Europe and is seriously breathtaking. Are you staying local these next few weeks? What places will you be visiting either on-the-cheap or *free*? Please let me know a place you recommend in the comment section below. Thanks so much! Ta Ta and happy travels. That is one of my favorite spots in the whole world! I lived right by Fort Tryon Park for 9 years. My husband proposed in that park and we had our wedding there. It's such a special, beautiful place. Thanks for featuring it!